The 2017 Silver Pegasus Takes Flight! 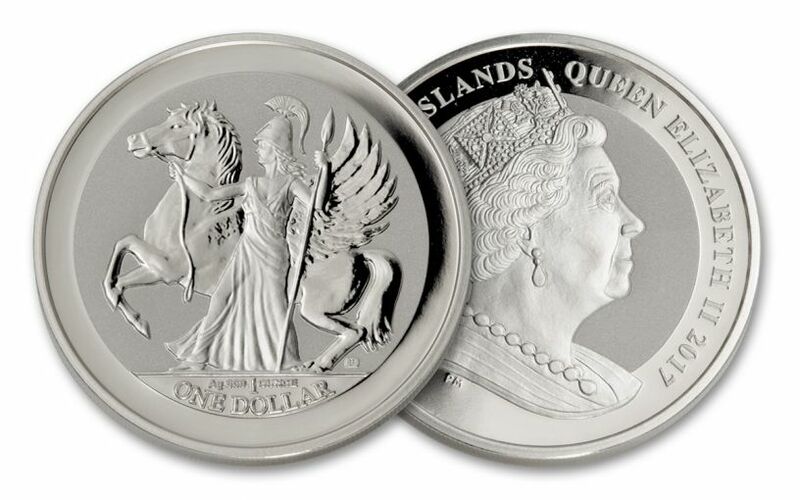 Following the successful release of their reverse-proof Silver Angel, the Pobjoy Mint is continuing the series with this amazing Pegasus Reverse Proof! 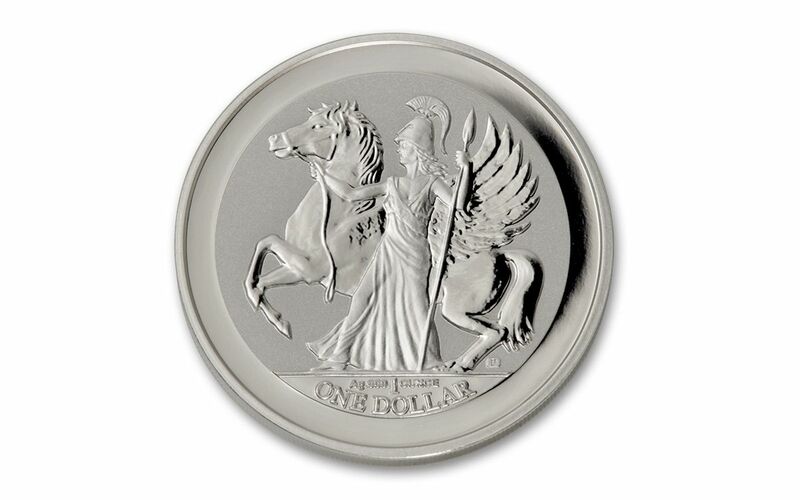 Struck in a full ounce of 99.9% fine silver, this legal-tender silver dollar proof depicts the goddess of wisdom, law and justice as she keeps a tight hold on the reins of the winged Pegasus. Athena plays a key role in the creation of the winged horse, having gifted the Greek hero Perseus a special shield that allowed him to battle, and eventually behead, the monstrous Gorgon Medusa. From her blood, the magical winged horse was born. Later, Athena would appear to the hero Bellerophone, providing him with the golden bridle that would allow him to tame the wild Pegasus. 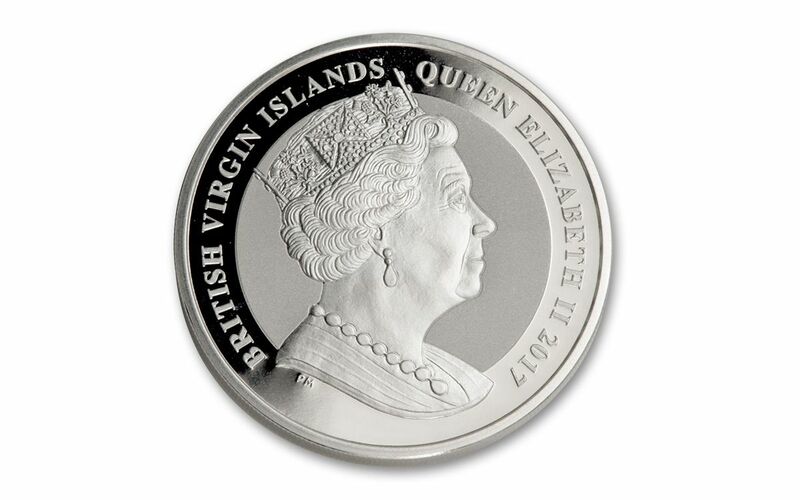 Struck in amazing reverse proof, the field, or background, of the coin has a frosted appearance, while the raised devices present a mirror-like shine. Make it the hero of your collection today!